15x15 Sesame Street Jupiter Jump - Jumpin Jiminy - Make Your Events Awesome. Can you tell me how to get, how to get to Sesame Street? Sure! 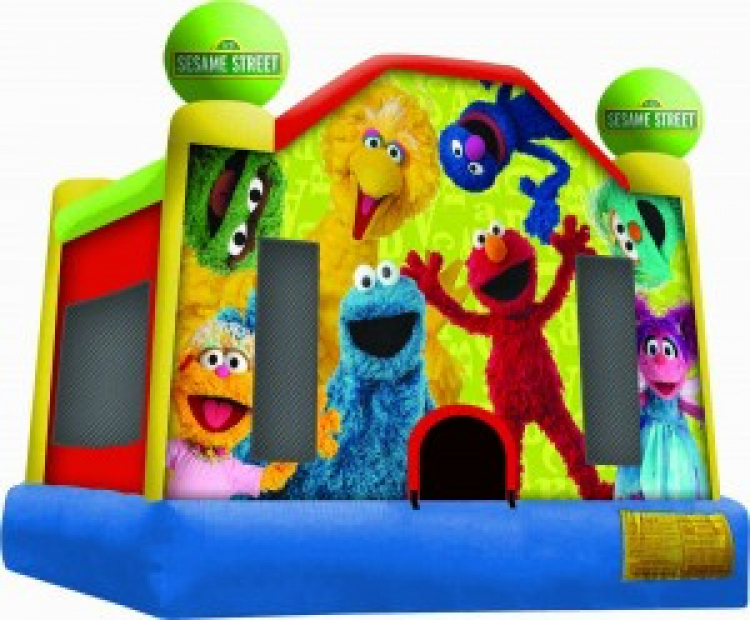 Just rent our Sesame Street bounce house and your child will be surrounded by all their favorite characters! Bright and colorful--this bounce house is always a hit at birthday parties, company picnics and Church events.